In OAIS terms, the Xena digital object is our Archival Information Package (AIP). This is the object that would be stored and preserved in UoL’s archival storage system (if we had one). For the purposes of this project, the records manager needs to be assured we can render and deliver a readable, authentic version of the record from the Xena object. In OAIS terms, this could be seen as a Dissemination Information Package (DIP) derived from an AIP. Among other things, the DIP package ought to include sufficient descriptive metadata. We’ve defined a minimal set of what we would need for records management purposes (names, dates for authenticity) and for information retrieval, and criteria for assessing overall success of the transformations – such as legibility, presentation, look and feel, and basic functionality. See our previous post for the documentation of how we arrived at our criteria. Emails are slightly more complex – see below for more detail, and previous post on emails. For these MS Office documents, Xena normalises by converting them to their nearest Open Office equivalent. 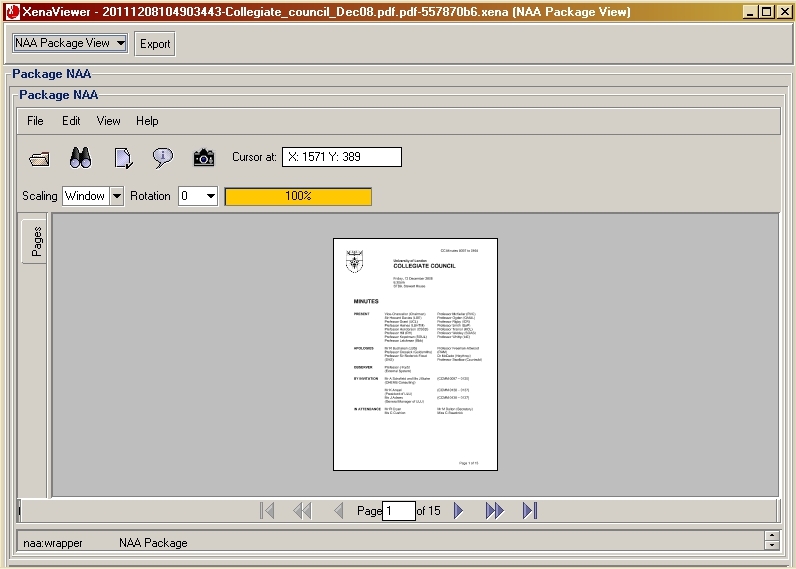 We can view this Open Office version via the Xena Viewer simply by clicking on Show in OpenOffice.org. 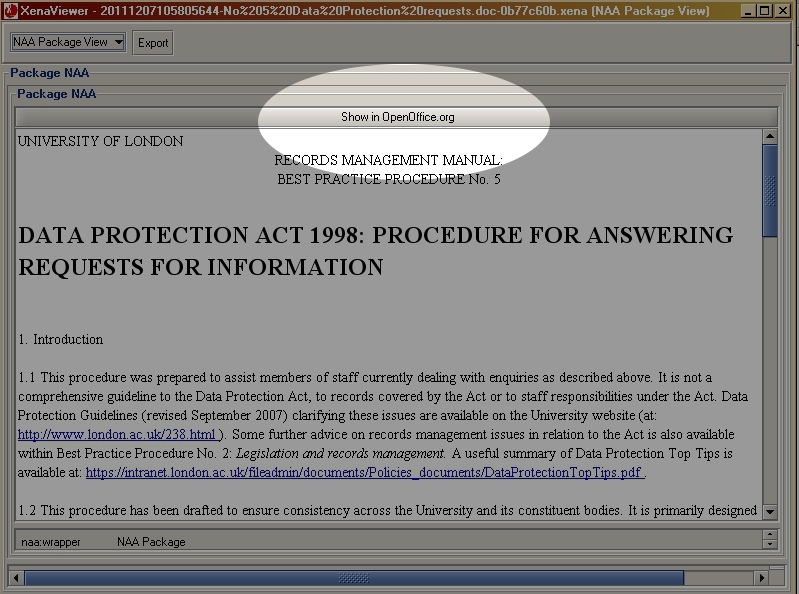 One missing property is a discrete ‘Author’ field in the OO version. We may not need much descriptive metadata for individual images. 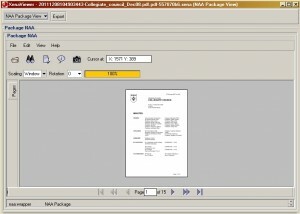 We looked at the converted images using a free EXIF viewer tool and the date values (creation and modification) are intact in the normalised object. Below is a PDF of my table of analysis of descriptive metadata (and significant properties). We also have Kit’s assessment of the transformations, including his comments on whether a reasonable amount of metadata is intact. This entry was posted in project progress and tagged digital preservation, metadata, records management on January 24, 2012 by Ed Pinsent.